Driving home in torrential rain from my very first workshop at Lush Cardiff, what an experience! Martha’s equally lovely and knowledgeable colleague, Ellen, demonstrated how to make a signature Lush cocktail using Big Blue Bath Bomb and Sunnyside. The fragrance was intense, with the citrus blast of tangerine and lemon oil of Sunnyside combining with the lavender oil, sea salt and seaweed absolute of Big Blue, the ballistic made to represent the smell of the sea in Poole Harbour. 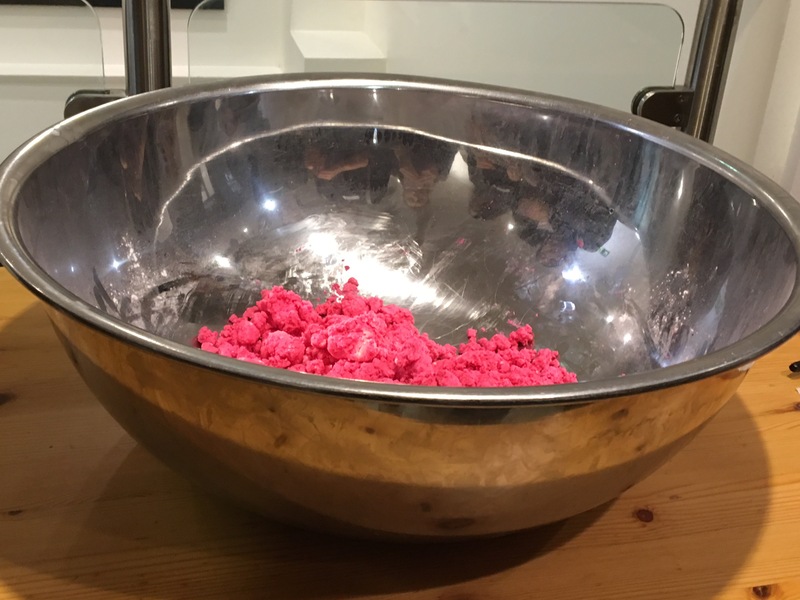 I, of all people, was chosen to pour the bubble bar mixture between the jugs (if you have visited a Lush store, you will know what I mean!) But me being me, the world’s clumsiest person, the mixture saturated my jumper, soaked Martha’s boots and flooded the floor. I was so embarrassed and felt awful for causing such chaos but Martha put me at ease and couldn’t have been more understanding. We were divided into 2 groups to compete in a create-a-cocktail competition. 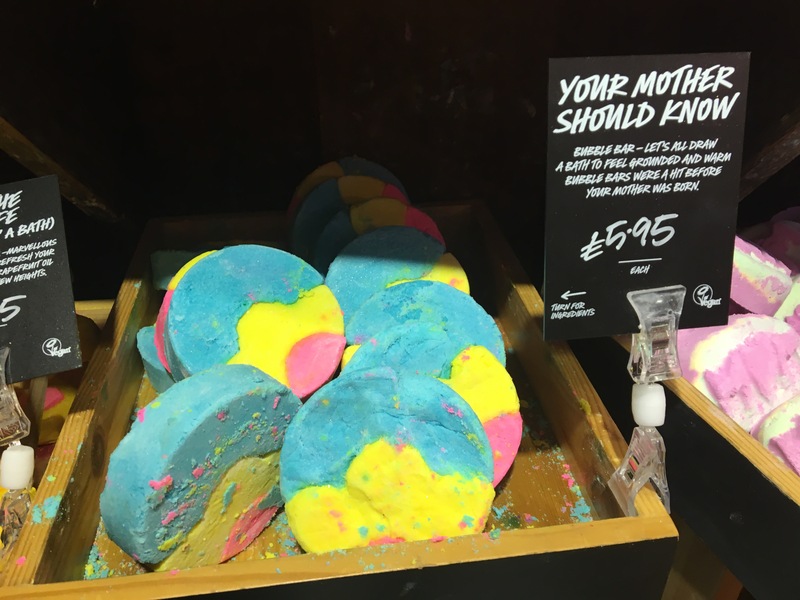 After much deliberation, my group selected “Your Mother Should Know” Bubble Bar from the Mothers’s Day 2017 range and “Over and Over” Bath Bomb for a zesty, citrusy concoction. The two scents complimented each other extremely well and created a silky, vivid green water which we named Mother’s Rollers! The competition was close but we won with a score of 9.5/10! The knowledge of both staff members was extremely impressive. Even as an avid Lushie, I walked away having learned many interesting facts. We were paired up to participate in a shower jelly competition. 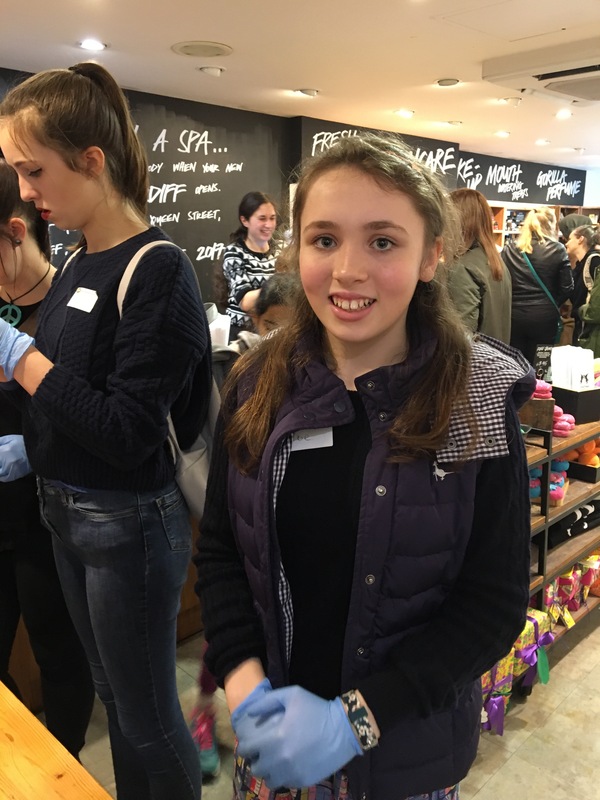 Each Lushie partnership was asked to wash their hands using one of the delightful shower jellies to produce the most lather in 10 seconds. Whoosh won hands down. 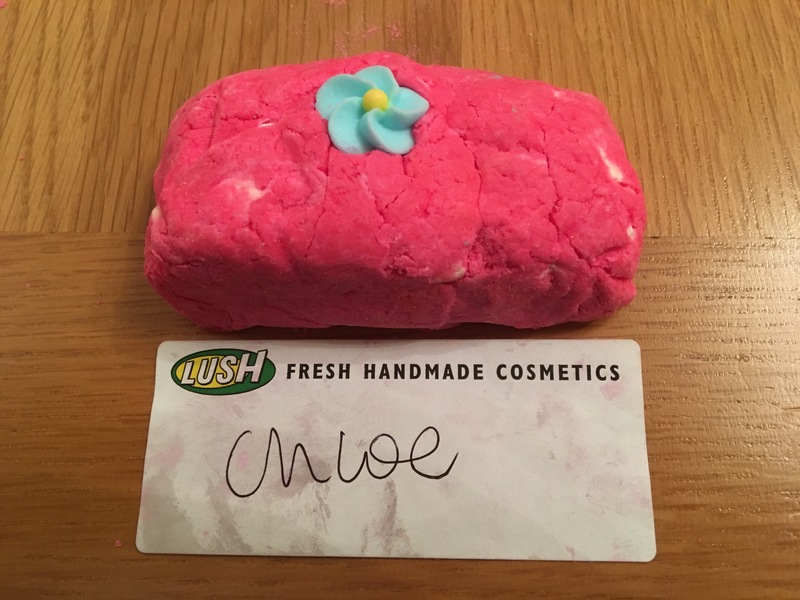 We soon became Lush compounders, moulding our very own Creamy Candy Bubble Bars! Most members of the group moulded very intricate designs, which looked beautiful, but I decided to play it safe with a plain and simple oblong! 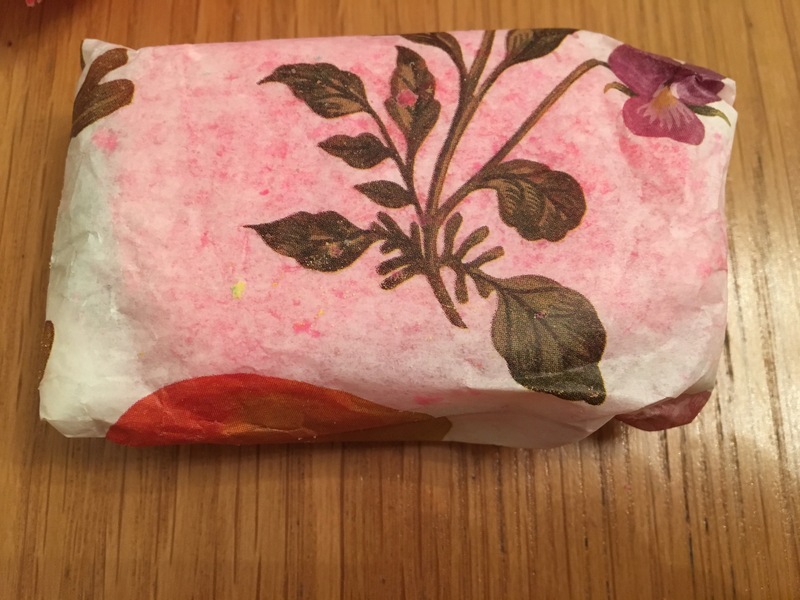 Ellen and Martha demonstrated the Lush wrapping procedure for bubble bars using the stunning botanical floral tissue paper. We sealed our Creamy Candy bars with a name label and popped them into a signature Lush bag. To close the workshop, we received a demonstration of the hand and arm massage technique. In pairs, we hand picked two massage bars and received step by step instructions from Ellen. Ellen’s instructions were extremely clear, supported by Martha who provided some much needed individual assistance! 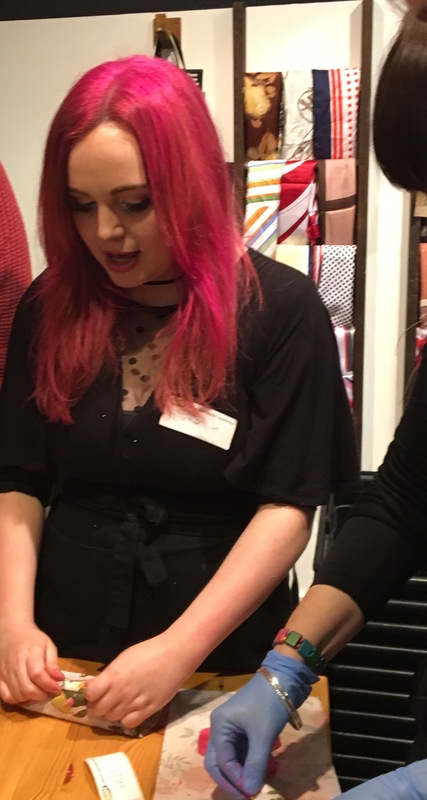 It was so interesting to learn that Lush staff undertake 8 training sessions to enable them to perform a hand and arm massage. Martha and Ellen made it appear simple and effortless. I’ve since been practising the new found techniques of kit kat, corkscrew, stepping stones and many others at home! I will be working hard to perfect my skills of massage in order to fulfill my dream of working at Lush! The Creamy Candy Workshop was an unforgettable experience which I would highly recommend. Despite the spillage, create a cocktail was the stand out activity for me. The workshop is perfect not just for Lushies but as an introduction to the company. I would like to say a huge thank you to Ellen and Martha, they are a credit to Lush and Lush Cardiff. It was a truly well-organised and brilliant event.